Tom's recently released The Business of Belief adds to the amazing collection of thoughts, ideas, experiences, and so much more that you can find in his other books Opportunity Screams, A Little Less Conversation, A Clear Eye for Branding, and Sandbox Wisdom. Tom has educated and mentored aspiring as well as accomplished entrepreneurs at all levels. His speeches on innovation, branding, the customer experience, as well as many other topics has inspired many. 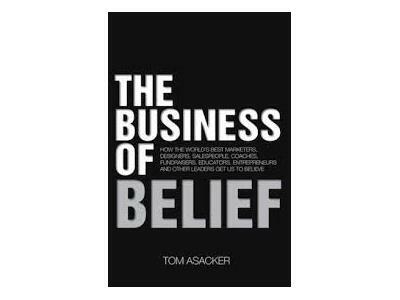 Tom was on to discuss his new book and what exactly The Business of Belief is all about. 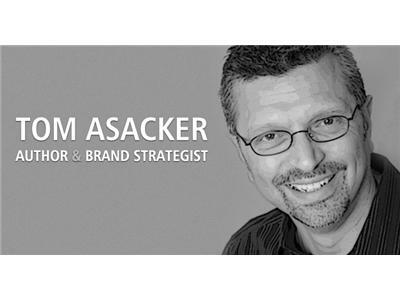 Tom Asacker is often described as a catalyst and a nonconformist. He is a strategic advisor, an internationally acclaimed speaker, and the author of six books. 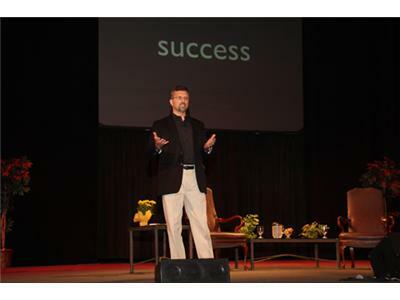 Beyond his success as a speaker and author, Tom is a former corporate executive and an accomplished entrepreneur. He is a recipient of the George Land Innovator of the Year Award. He holds medical patents and product design awards and is recognized by Inc. magazine, MIT, and the Young Entrepreneurs' Organization as a past member of their Birthing of Giants entrepreneurial executive leadership program. Today Tom helps professionals and organizations grow their brands by connecting deeply with the feelings and beliefs of their audiences, and by creating value that truly improves their lives.